The client is a Denmark-based speaker and headphones manufacturer. They are the world's most iconic audio-visual brands and has been leading the way in design, innovation, and technology for over 90 years now. The client was looking for a service provider who could provide them with quality data mining services. The client provided us with an Excel sheet with the brand names and the geographies of the stores. They wanted our team to mine more details about each of the brands. It was difficult for our team to find the original company websites as there were many duplicate websites with the same name. The client wanted us to deliver highly accurate details about each brand and hence we had to be careful about the data mining process. The client wanted us to use Google Maps to extract brand dealer information, refer website links, and put a tick mark for the stores that would carry the required lifestyle brands. Also, they wanted us to obtain the store name, store address, city name, state, zip code, contact number, website, and contact email. The client initially opted for a trial project as they wanted to test out our services and resources. We allocated one resource for the trial which lasted for a day. 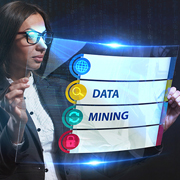 Our data management expert was able to mine 9-10 records during the trial. The client was totally impressed by our services during the trial and outsourced the entire project to us. We assigned 2 resources for the project who worked for 5 days to complete the project. Each of the resources was able to mine about 150 records per day and the entire project of mining 1300 records was completed in 5 days. Our team was able to mine 1300 records in less than 5 days. The client was extremely happy with the results and quality of the details delivered by our team. They were not only impressed by the quality of the results we delivered but also the cost-effectiveness of the entire project. Outsource2india has been a pioneer in providing quality data mining services and a series of other data management services to its global clients. Our team comprises some of the most skilled and talented data mining experts who have been trained to cater to any of the client's needs within a quick turnaround time. We make use of the latest data mining software and technologies which ensure that we deliver only the best-quality services. 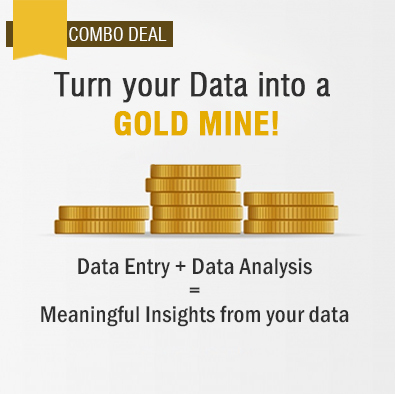 You are at the right place if you want to partner with a reliable, accurate, and affordable data mining service provider. Get in touch with our team today!